One thing I’ve noticed reviewing many 2016 best of the year lists is that beyond a few stand-outs (Beyonce’s Lemonade and Solange’s A Seat at the Table) and a few that get frequently mentioned (Rihanna, Chance the Rapper, Frank Ocean) there is very little consensus about what last year’s top albums were. Frequently, every top 10 list had a few albums that did not show up on any other list. With this post, I will review one of my top albums of 2016 that I didn’t see on anyone’s list: Kero Kero Bonito’s sophomore album, Bonito Generation. Kero Kero Bonito is a British band with lead singer Sarah Midori Perry and two producers Gus Lobban, and Jamie Bulled. Sarah is half-Japanese and sings and raps in both Japanese and English. The music, while influenced by J-Pop and British dance music, is really a thing unto itself. 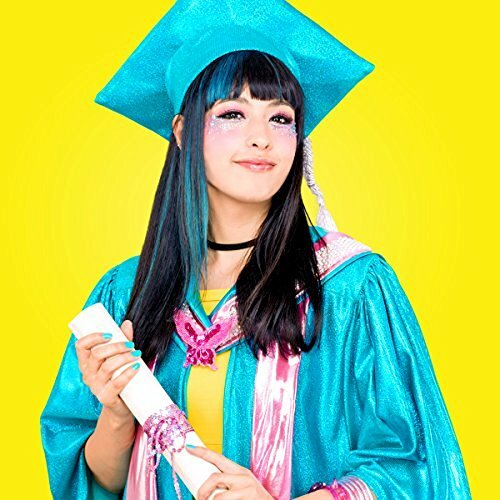 While Kero Kero Bonito’s first album (Intro Bonito) was more about setting up beats, textures, and the hybrid Japanese/English delivery than songwriting, Bonito Generation makes a big leap forward into great, unpredictably-structured songs with memorable hooks and melodies. Further, the production is imaginative, varied, and keeps you guessing. While the tone of the vocals may have a lot in common with a kids' album, many of the songs are actually for adults in an era where many young adults feel they are still trying to figure out life (“adulting”). I can understand that someone might find the vocal delivery annoying, but combined with the subject matter explored, for me it is endearing. Bonito Generation sets itself apart from 95% of pop music in having zero songs focus on romantic love—instead, the album presents a manual about how to go through life, all through unpretentious, catchy songs. There are songs about not wanting to get out of bed (“Waking Up”), moving away from home to the big town (“Big City”), hearing a great song on the radio (“Heard a Song”), trying to get a job (“Try Me”), taking breaks (“Break”), (over-)taking pictures (“Pictures”), and about keeping in touch with your parents (“Hey Parents”), among others. The best track is “Trampoline,” which takes a lowly kids' plaything and turns it into a metaphor for life’s ups and downs—and how you should not get stuck on the ups or the downs—all while just being the catchiest song of the year. “Lapslap,” while not my favorite track, is probably the most experimental and fresh song on the album and continues to grow on me. While the so-so rapping and English lyrics could have use a bit more effort—especially with the (lack of) rhyming—most of the time the non-sappy, straightforward delivery works well with the music and subject matter. While I recognize this type of hybrid British/J-Pop/kids-music-for-adults is not for everyone, it is exactly up my alley. I’d recommend checking Bonito Generation out.